1. Assistant Operator - Must have passed matriculation or its equivalent from recognized institution. 2. 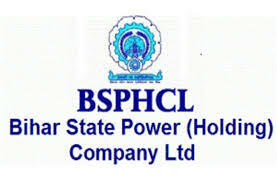 Switch Board Operator - II - Must have passed matriculation or its equivalent from recognized institution. 3. Junior Line Man - Must have ITI Certificate in Electrician Trade from any Institution recognized by National Council for Vocational Training, New Delhi (NCVT)/ State Council for Vocational Training (SCVT). 4. Technician GR-IV - Must have ITI Certificate in Electrician Trade from any Institution recognized by National Council for Vocational Training, New Delhi (NCVT)/ State Council for Vocational Training (SCVT). a. Application fee is Rs.1, 000/- (Rupees One thousand) only for UR, BC, EBC candidates and SC/ ST of Bihar domicile & Divyang is Rs.250/- (Rupees Two hundred fifty) only. b. Fee will be accepted through online payment mode only.